Just over a year since we last met, Carbon Leaf is back for a summer show at Maymont. I sat down with band members Terry Clark and Barry Privett in their suburban Richmond home studio to catch up on their new projects and the trials and tribulations they’ve faced over their long career. 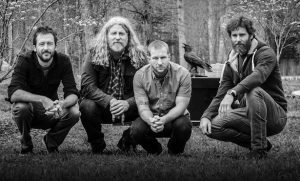 Carbon Leaf has been a mainstay in the folksy, Celtic-Americana scene, and as a Richmond-born band that has been around for a couple of decades, they’ve grown a cult following in the 804 area code and beyond. Celebrating their 25th year making music, Clark and Privett are excited to bring tunes both familiar and new to their hometown. With 17 albums behind them, they have a big back catalog, but they’ve faced legal challenges regaining the rights to albums produced under Vanguard Records, the label they left in 2010. The legal challenges made re-recording their main priority over the last few years. Buoyed by positive feedback for the new versions, the band finished three revamped albums, Indian Summer Revisited, Love Loss Hope Repeat Reneaux, and Nothing Rhymes with Woman (2016 Re-Recorded Version), and regained full rights to their music from their previous label. With the legal logistics behind them, Privett and Clark have been focusing on releasing their most recent album, Gathering Vol. 1, which dropped earlier this month. “We’re doing a kind of a series of series of smaller albums. We’re going to do four part series under the Gathering banner,” Privett said. Clark mentioned that this album was a collaboration with We Banjo Three, an Irish band which prides itself on originating “celtgrass.” “We were trying to align our tour schedule with their tour schedule and get together, but the stars didn’t align to let us do that, so we were able to send them tracks in Ireland and then they sent us them back,” Clark said. With demos created by Carbon Leaf member, Carter Gravatt, the band sent their rough sketches to We Banjo Three in Galway to have them add supplemental instrumentation. 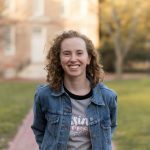 “We were able to transfer the tracks off the iPad and then send the tracks over and have We Banjo 3 add some banjo and some fiddle and some mandolin, in addition to the banjo, fiddle, and mandolin Carter already played on the tracks too,” Clark said. Privett said that they plan on featuring other guest artists on the future volumes and playing to their talents in order to create a cohesive sound. “You could argue that if you go with the theme that each album’s going to have some guests on it, you kinda want to play to their talents, so you just never know,” he said. Nonetheless, the band marched on, releasing what they could and working on replacing the damaged goods. 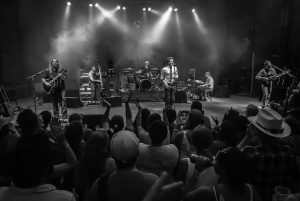 In addition to the new music and collaboration style the band is working on, Carbon Leaf has created a new way for fans to be a part of the family and receive some exclusive content. “We also launched a secret society,” Privett said. “It’s also tied into the album. Just something for fans that want something a little different to be involved in.” The Crow Foot and Key Society includes secret editions of music, exclusive merchandise, membership certificates, and more secret content. With their guest instrumentalists and secret society, the band has been working diligently to expand their routine in comparison to their last 25 years. This includes an international leg of their fall tour. “It was kind of a bucket list thing that we wanted to do,” Clark said. “Twenty-fifth anniversary seemed like a good time to do it. It’s also something we’ve been talking about for a while.” With a handful of stops in the UK, Paris, Copenhagen, and more, European fans can expect to see the group in mid-to-late October. With a band that has such an extensive repertoire, history, and fan base, it is comforting to see the level of energy, commitment, and devotion Carbon Leaf possesses. 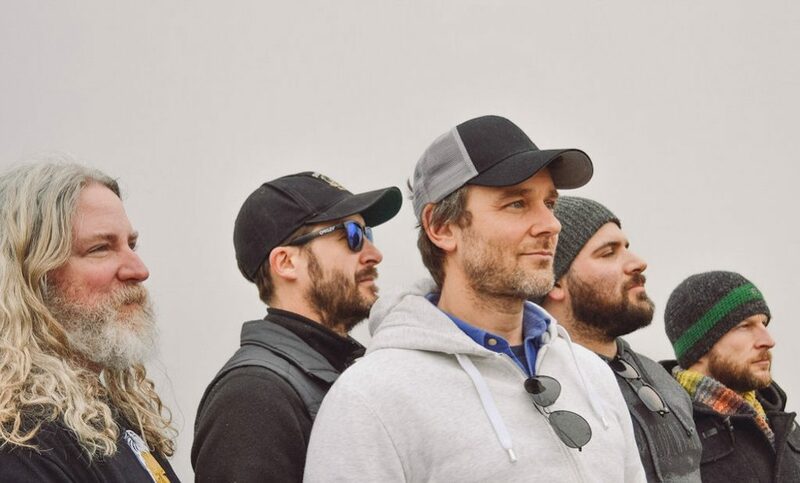 With such friendly and talented members, Carbon Leaf feels like a band you’d want to play any time you’re in the need for comfort, motivation, or feeling homesick. Gathering is an exceptional addition to their lengthy catalogue, especially considering We Banjo 3’s contributions. Carbon Leaf will be playing today, Friday July 13, at Maymont. Kid-friendly, this show will feature many of the beloved songs of Carbon Leaf, including some new tracks off Gathering. Tickets are still available. Gathering Vol. 1 is available in physical and digital form.